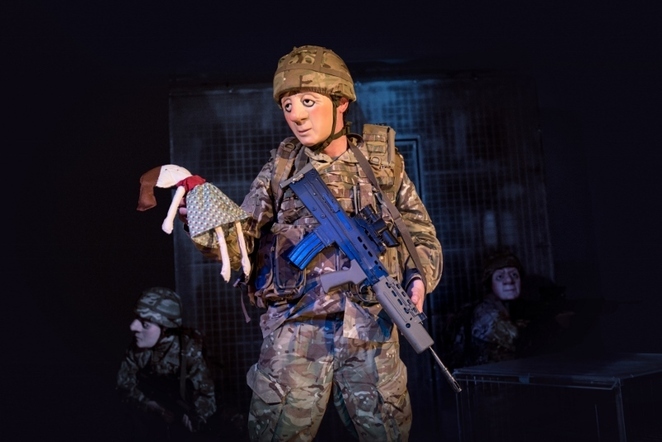 An award-winning theatre company has collaborated with British Army veterans to create a compelling production about Post Traumatic Stress. Vamos Theatre, the UK's leading full mask theatre company, opens its new production, entitled A Brave Face, at the London International Mime Festival from February 1 to 3, before embarking on an extensive UK tour. 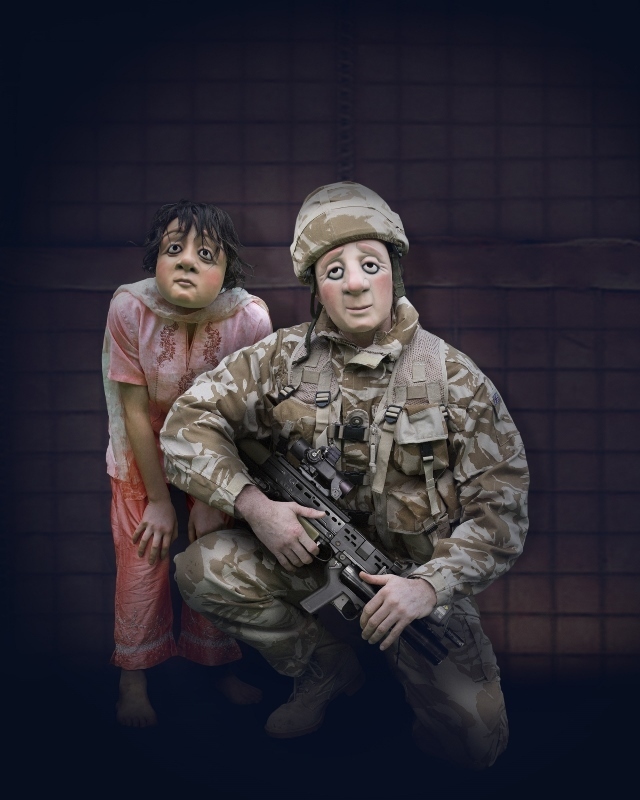 For more than two years, Vamos Theatre has collaborated with veterans, serving personnel, military families and health professionals in the making of A Brave Face, a full mask theatre production that will tour the UK and Europe in 2018. 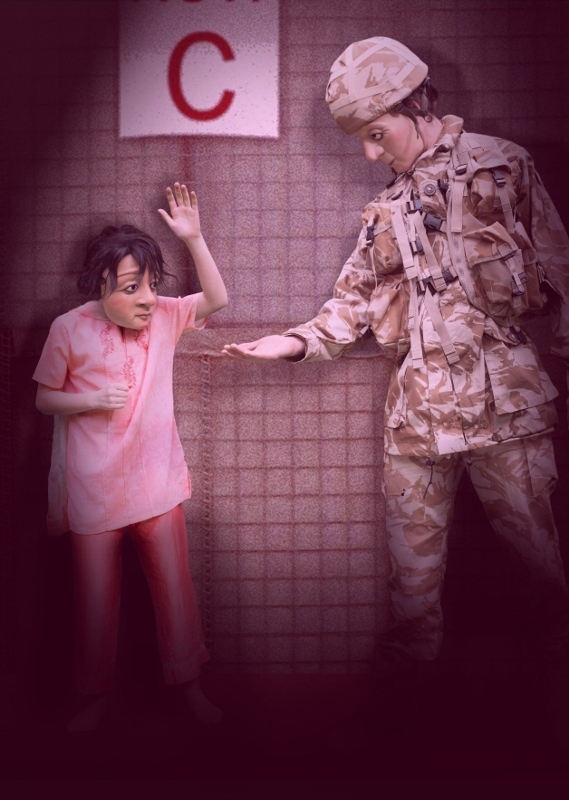 The result promises to be an honest and hugely compelling piece of theatre inspired by the hidden stories and personal journeys of those affected by, and connected with, Post Traumatic Stress in the military. A Brave Face is set in war-torn Afghanistan in 2009 and focuses on a soldier called Ryan who is in the army to see the world, learn a trade, and get a life. Combat is a buzz; he's part of a team and knows his job. But on one particular desperate tour of duty, Ryan sees things he can't talk about, to anyone. And then, when he returns home, the trouble really begins. Working in a co-production with The Mercury Theatre in Colchester, Vamos aims to create a better understanding of PTS and, crucially, encourage coordinated support for those who live with it. 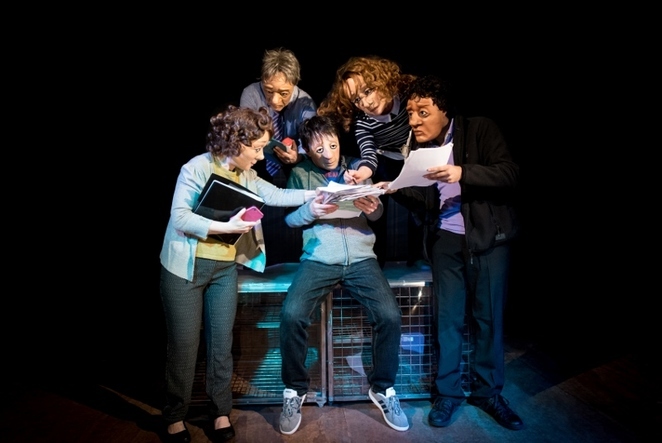 The company has based the production on the real-life experiences of those affected, a technique for which they have gained a strong reputation over their ten-year history, previously tackling issues such as dementia and forced adoption. The production was initially inspired by journalist and author Matthew Green's book, Aftershock, which explores the first-hand experience of war trauma. Artistic Director Rachael Savage, who both wrote and directs A Brave Face, said: "We want A Brave Face to show honestly what PTS is and can mean to soldiers and to their families, who often find themselves on the frontline in coping with the condition: they deal with the trauma, as well as instability, social isolation, loneliness - often with no support. The input of those who have helped us make the show has been invaluable - at every stage their generosity continues to be extraordinary, particularly those for whom discussing PTS can be in itself traumatic." Consultants on the production include veterans of Afghanistan, Iraq and Northern Ireland, as well as organisations at the forefront of PTS support, such as Help for Heroes, Veterans First and the pioneering Recovery Centre, Chavasse VC House, many of whom are leading the way in instigating new approaches to healing psychological injury. The production tour will include several Veterans' Events performances aimed specifically, but not exclusively, at military and ex-military personnel, in particular, those who are living with Post Traumatic Stress. Worcester-based Vamos Theatre was established in 2006 as a full mask theatre company. Productions are wordless, telling its stories through physical communication, supported by strong visual design and an original soundtrack. A Brave Face will be appearing at the Warwick Arts Centre, Coventry, on February 22; New Vic Theatre, Newcastle-under-Lyme on March 12; mac, Birmingham, on March 14; Arena Theatre, Wolverhampton, on March 15 and 16; Malvern Theatre on March 29 - 30; and Artrix, Bromsgrove, on April 27.